Android has become the leading platform for mobile devices globally. In fact, Android broke a market share record by making up more than 86% of global smartphone sales for the first half of 2016. As a result of its popularity, the platform has seen an increased amount of attacks and malicious apps in circulation. In 2015, Android was the target of 18% of all malicious attacks, making it the second most targeted platform overall. But enough with all these stats, what should this all mean for Android users? The answer is simple, protect your device and protect your personal data. Anti-virus and malware scans are now a must for mobile devices, but the use of a VPN should no longer be ignored. In this article I go over the best Android compatible VPN services, but first let’s look at the benefits encryption provides. When using a mobile device, chances are that you may be using free Wi-Fi hotspots all around you. Such as a coffee shops, public spaces, or even while travelling in hotels and airports. The issue is that every single bit of data that is transferred through that network can be “sniffed” and stolen by an attacker that is also on that same Wi-Fi connection. These are known as WiFi sniffing attacks, and it is very easy for the perpetrators to remain hidden and undetected. You might login to your personal email, WhatsApp, or worse your banking account, and all the data could be collected and stolen from you. With a VPN, all the data is encrypted before leaving or arriving at your device, meaning that everything passing through the WiFi connection cannot be stolen, sniffed, or decrypted by attackers. Android users are most at risk, since there are far more tools available to aid attackers in gaining access to unprotected mobile phones and tablets. The chances of this happening to you should not be underestimated, and the risks include identity theft. A free virus and malware scanner should also be used in conjunction with your VPN to provide the best possible security and privacy to your Android device. Even than, security is never a sure thing and caution with sensitive data should always be taken. However, with a VPN encrypting all your data, you can be sure that no one will be able to see or steal any data coming in or out of your Android. If privacy, security, or both factors are of concern, a VPN is an essential layer of security that should be used at all times. Of course, the advantages don’t end there. As you may already know, by connecting to a VPN server, you can also pick and choose a location, such as US, Canada, UK or any country available from your service provider. What happens is that it changes your Android device’s IP address, making it seem like you are located in that country. This can be helpful to unblock Netflix, or other services and websites that are geographically restricted. Especially useful for censored countries, or while travelling abroad. So let’s go ahead and jump to some of the best VPN services with Android Apps. My first pick is ExpressVPN which has a terrific Android interface. The app is feature rich and makes the transition to a mobile device quite well. Using the service is quite intuitive and easy to use though. However, more importantly, this is my top pick for mobile Android users because of speed, performance, stability, global coverage, and overall security. I have yet to see any reports of data leaks, or bad speeds when using ExpressVPN’s service. It is not to say that no matter where you are located, all servers will perform at blazing speeds, but when compared to cheaper services, Express never fails me. Express VPN does a very good job of providing quick, stable connections, and you often find that you don’t need to go looking for or changing servers because of sever speed loss or bad ping times. 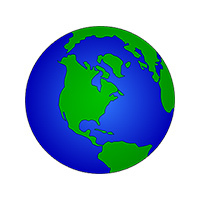 They now cover almost 90 countries, and over 136 cities, so you probably won’t ever run short on connection spots either. 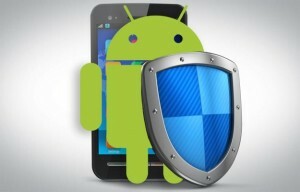 Each account allows up to 3 simultaneous devices to be running, so you can keep your Android protected at all times. One thing that really stands out about their application is the home screen widget which I found was simple enough to no detract from the rest of your home screen all the while showing you the crucial information at a glance. The widget shows whether you are currently connected to a network and if so, which country the server is based in. You can also connect or disconnect directly via the widget. Those of you who use VPN network frequently (like I do) will certainly appreciate having the widget. I encourage you to read our full review for the full details but basically, ExpressVPN is among the best in terms of stability, speed, and coverage. It does cost more than say Private Internet Access or PureVPN, but the performance boost is certainly worth the value if you can afford it. Service is exceptionally good, and a 30 day no questions asked money back guarantee allows you to try for yourself with no risk. 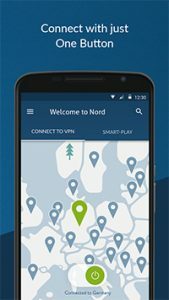 In second, a strong Android app from NordVPN makes them deserving of being a top pick for the platform. The app is intuitive, but more importantly, it hits the mark for specific needs and uses. As soon as you launch the client, you’re presented with an interactive map that let’s you quickly connect to the location of your choice with a single tap on your smartphone or tablet. Custom settings allow you to auto-connect to specific servers on launch, and you can browse through a traditional list of servers as well. 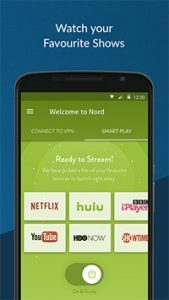 Under the Smart-Play menu, NordVPN allows you to launch streaming services directly in conjunction with the VPN. 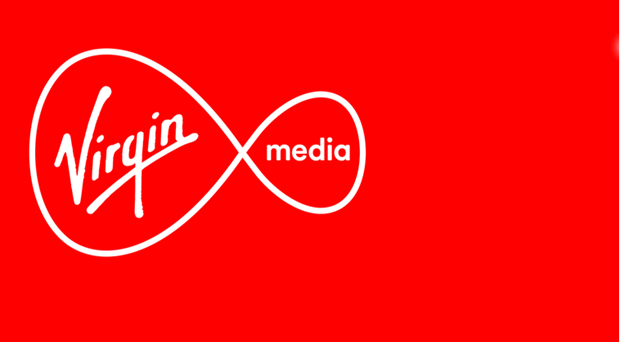 You can jump onto Netflix, Hulu, BBC iPlayer, HBO, ShowTime and YouTube directly from the app, or at a minimum, turn on the Smart Play service in order to connect to VPN servers that unlock the services for you. As far as service goes, NordVPN has had mixed reviews in the past, but IMO they have successfully bounced back in the last year and become a leading service. Speeds are some of the best, but do fluctuate a bit more than say ExpressVPN, testing is key, and NordVPN backs their service up with a 30 day money back guarantee, which leaves plenty of time to decide for yourself. The network covers almost 50 countries, with hundreds of servers available in various cities. Additionally to having great speeds overall, specialized servers with high bandwidth are available for streaming, while others provide layered security with double VPN or Tor over VPN. Nord even provides Anti-DDOS and dedicated IP servers. There’s no shortage of features, great security, no logs, P2P friendly, and a simple, effective, and visually pleasing Android app. Finally, each account allows up to 5 simultaneous devices, providing great value on pricing. Yearly plans are very affordable to start with, and with such a great refund policy, I always feel comfortable vouching for the service. If it does not work out, you can always try an alternate service provider, such as ExpressVPN which is usually a sure thing for almost any Country in the world. With that said, NordVPN now provides a great global coverage, so it is more than likely to serve you well. Next I chose Private Internet Access which is one of my long time favorite VPNs on desktop. I felt the Android application’s interface was slightly lacking. The application itself is fairly reminiscent of what you’d see when going through your phones setting, but in reality, that’s not what’s most important. PIA makes a great choice for budget consumers that want to spend the least amount possible. With their yearly plans coming in at just 3$ per month, and each account allowing up to 5 devices to connect simultaneously, the price is hard to beat. But how’s the performance, you ask? Let’s face it; ultimately, you’ll be using the service that gets you into Netflix the fastest, or encrypts your data securely and dependently, not the one that has the prettiest UI. The service has a long standing reputation for being secure, but the cheap price does come at a small cost. Speed is not as great as say ExpressVPN or IPVanish, neither is their coverage. They only provide servers in 24 countries at the moment, but they do have all the key locations covered, and more importantly, they provide more than 3000 servers to upkeep their ever growing customer base. So although speeds are not the best, they certainly are far from being bad. For what you pay, you can expect to have to change servers from time to time, but you should always be able to find a connection point with respectable latency and speed. Read the full PIA review for more information, but to summarize it quickly; Private Internet Access is among the leading VPN provides thanks to their decent performance and low price point. The cost is extremely attractive, particularly for allowing up to 5 devices using one account. Sure the Android client for VyprVPN and Express is better, even more convenient, but ultimately, if cost is your biggest criteria then it’s going to be hard to beat PIA. 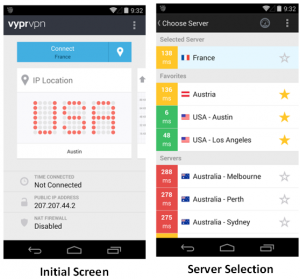 VyprVPN has made mobile computing a priority and nowhere is that more evident than in their Android application. The only reason they are ranked last, is due to a 30 day logging policy that may bother those looking for the best privacy, and the restriction of P2P torrenting traffic. Otherwise, for Android lovers their application sports a very sleek yet simple interface which easily helps give you full control over your browsing. For those of you willing to take the plunge with VyprVPN you’ll see that they are the highest rated VPN Client available on Google play and with good Reason. 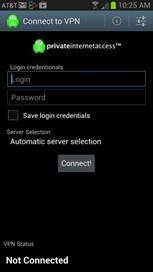 You won’t be left wanting with the Android app as they provide simple one click connection, an easy favorite system to remember your favorite servers, and a very intuitive status screen. I think the interface is fantastic! Some VPN clients can be overwhelming for those who aren’t so tech savvy but Vypr is laid out very intuitively and follows the “Card” layout many of us have become accustomed to. There are three cards easily accessible by swiping left or right which display you active connections, speed graphs, and session logs respectively while the lower part of the cards display the current session time, public IP address and the status of your Nats Firewall. In my opinion this is really a perfect example of beauty in simplicity. 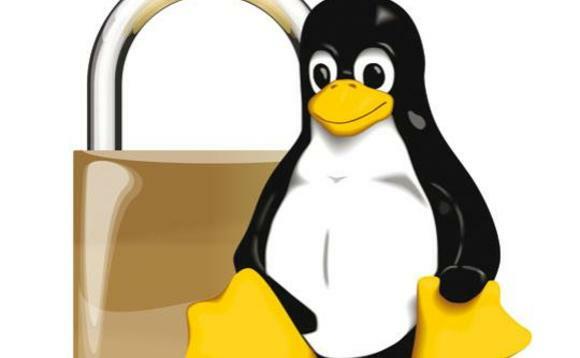 The application will auto-detect your current location and display a list of servers to connect to along with the country the server is based in and the average latency for each connection. I personally loved the fact that the latency is shown to me directly on the selection screen so I don’t have to waste time trying out different connections only to find they aren’t up to snuff. Finally, Vypr has included support and feedback channels baked directly into the application so that you can easily get in touch with one of their customer support agents on the go should the need ever arise. This further bolsters what is already acknowledged to be industry leading customer service. I was very happy to see that the application is not limited in functionality as can often be the case with lesser mobile offerings. All things considered I must say that I am quite impressed with the application. It provides a beautiful interface and all the functionality you would expect from Vypr. Those of you who have used VyprVPN in the past will find that the experience is just a seamless and perfect on your Android as it is on your desktop. This is the top rated VPN client on Android and you won’t need to play around with it too long to see why. So there you have it folks, there are my top picks for Android. I certainly hope the insight and overview has in some way made you decision easier.